Mark 11 opens with a scene of great anticipation. The conquest of Palestine by the Romans engendered a longing – a great hope – for the arrival of the promised Messiah who would defeat the evil Roman Empire and take his place on David’s throne. This great hope reaches its apex in the story of Jesus’ entry into Jerusalem. Many had heard his preaching and seen his miracles, and with great hope they greeted him as the promised Davidic king. And Jesus does not correct them! In a bold acknowledgment of his identity, he receives their praise – entering as a king and fulfilling Messianic prophecy (Zech. 9:9). Hope had come to the conquered people of God. In communities of the poor, the absence of hope can be devastating. But the message of the Gospel has always been one of ultimate hope. 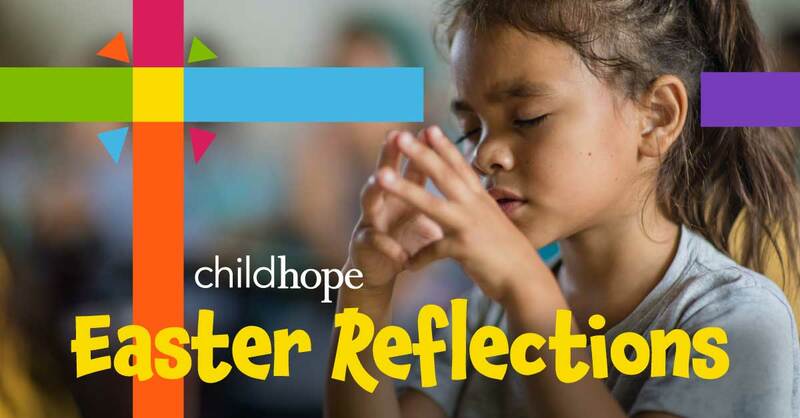 ChildHope brings that message. We proclaim that Jesus is no Hollywood Messiah. He is the actual fulfillment of ancient prophecy – that God planned, long ago, to send the Messiah, to conquer evil and set us free.